Do you ever wonder what’s leaving winding tunnels or large blotches on your plant’s leaves? Have you ever been curious as to why your plants turn into dead, dried out organisms? If you have, you’ve probably come into contact with leafminer larvae and their tiny adult parental insects. If this is the case, we bet you’re wondering what pest control tactics you can use to control these leafminer infestations. 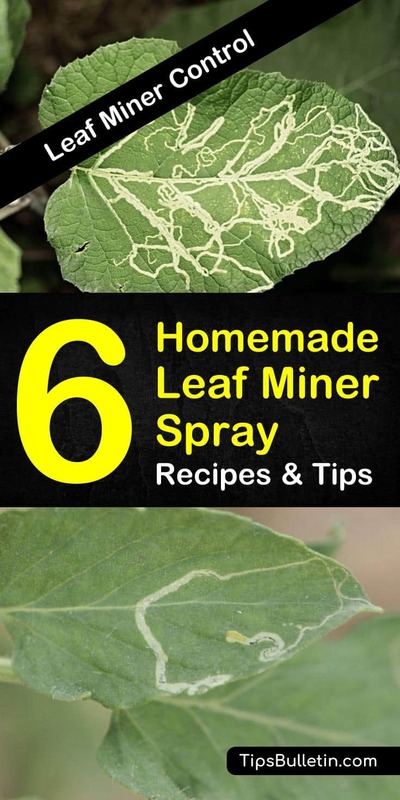 Are you thinking about mixing up a homemade leaf miner spray right about now? One thing to keep in mind before starting your pest management control methods is that natural pesticides will get rid of these natural enemies much faster than chemical pesticides. All you need to do to get started on your homemade leaf miner killer recipes is to gather the proper ingredients, like neem oil, diatomaceous earth, hot peppers, vegetable oil, and beneficial insects. Of course, you won’t be mixing all of these ingredients, but you will use them at some point or another. If you want to keep leaf miners away from your beloved plants, make sure the areas surrounding the plants are weed free. Since leaf miners love to feed off weeds, and if there are no weeds present, they’ll have no reason to stick around. Instead of finding a high-rated general pesticide at the corner store, try using control methods like black plastic mulch and floating row covers. Place the black plastic mulch around the plants; this will keep the larvae from burrowing into the soil. Then, take the floating row covers and spread them over this area; this will stop the female from getting to the plants to lay eggs. Do not put the row covers in areas where leaf miners have lived before, as this could trap adult pest insects inside of areas like your home garden, giving them a generous amount of food to eat and survive. For a low-impact solution, try out spinosad treatments. Spinosad is made from a microorganism that occurs naturally in the soil. Most solutions come prepackaged, but they are amongst the natural ways to implement leafminer control. Once you have the spray bottle, shake it thoroughly, and then attach it to your garden hose. Put the water on and spray over the foliage, be sure to cover all the plant leaves in sight. You may have to repeat this treatment every four to seven days until the life cycle is cut off. Do not use this solution more than ten times per year. These products do not harm beneficial insects, but they are known to be highly toxic to parasitic wasps and bees for up to three hours after application. A homemade leaf miner spray is critical to maintaining biological control over these pesky bugs. Try using a spray to kill leaf miner larvae that can control leafminers. Mix the ingredients that you choose into a bowl and pour the mixture into a spray bottle. Spray the solution onto the affected areas, and the problem should be solved. You don’t want your favorite houseplant suffering from grimy leaf miners. To get rid of them, boil pepper flakes with water in a pan. Once you mix it thoroughly, allow the solution to cool before applying it to the leaves to take care of the issue on host plants. There are other homemade ways to get rid of leaf miners that are harvesting on your plants. Try using beneficial insects like bugs, aphids, and other critters. If you’re looking for the best insect to go with, though, attract diglyphus isaea, as this type of insect is known to kill leaf miners. Their target area is the leaf miners larvae specifically. To attract diglyphus isaea, start planting flowers or fruits around the inside or outside of the house. Of all the types of essential oil on the market today, neem oil has been known to have many positive effects when it comes to the biological life cycle of plants. There’s one of two ways you can go about this solution. You can order neem leaves plucked from a neem tree online. Once they’ve arrived in the mail, add water to the leaves and boil in a pan. Once it’s dissolved thoroughly, allow the solution to cool down before applying it to infected areas with the use of a spray bottle. If you don’t want to go to these extreme lengths, purchase the essential oil neem oil. Dilute the solution and spray it on infected areas. If you didn’t already know how to keep bugs like leaf miners away from your plants, these tips and tricks have helped you along. With our advice, you’ve discovered how to improve areas of your yard, like your citrus trees, from the citrus leafminer. You’ve also found how to create recipes by using ingredients like vegetable oil, castile soap, neem oil, and hot peppers. Some beneficial insects can be used to keep leaf miners away, too. Even scale insects, house flies, fungus gnats, and spider mites can be used in certain situations. 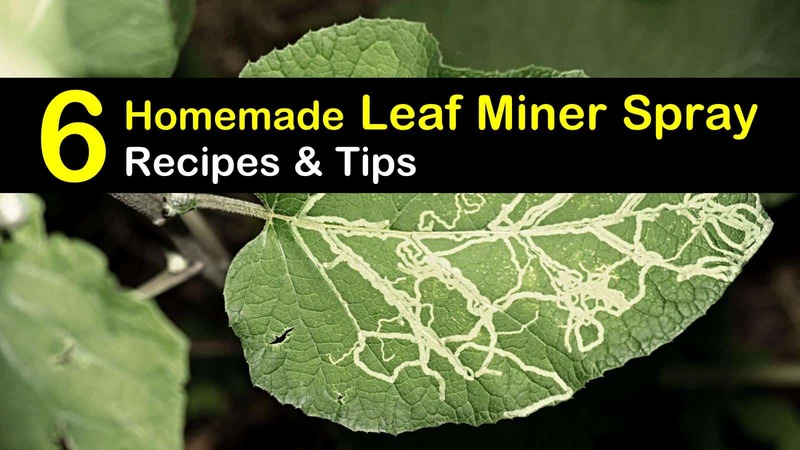 We hope you liked our leaf miner tips and recipes. If you need, please share our homemade leaf miner killer information on Facebook and Pinterest with your family.